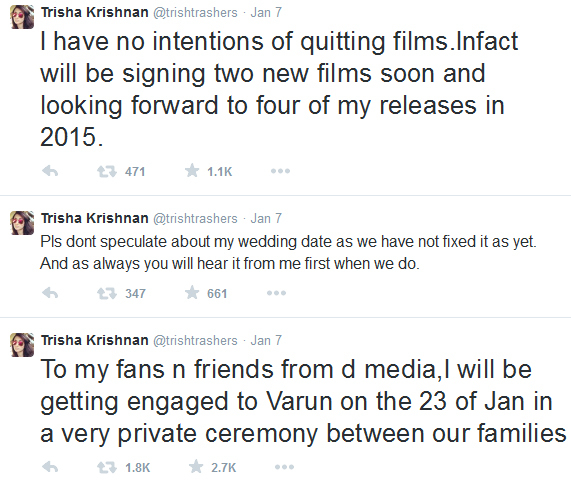 This New Year brings happiness and new relationship in Trisha’s life. Trisha Krishnan, the popular South Indian actress finally announces her plans for engagement with her longtime boyfriend. As she tweeted, she will be engaged on the 23rd January of this year. The ceremony will be a private one. Only close friends and relatives of both the actress and her boyfriend attend the party. Now you may ask who the lucky guy is. This south India heartthrob will be engaging with Varun Manian. Varun is a businessman from Chennai. They have been dated for couple of months and finally both of them decided to be engaged officially in 2015. 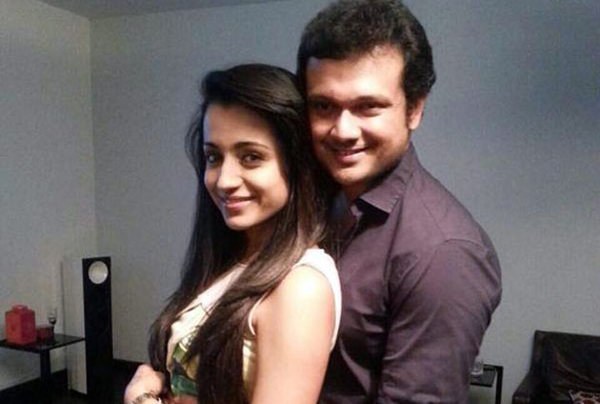 As soon as Trisha informs her engagement plan on her twitter account, rumors on her marriage also heard. According to some rumors, the actress will be married soon after the engagement in this running year. But the actress did not reveal the marriage date and her marriage plan till now. As Trisha said to media, her acting career will not be affected later also after her marriage. She will not quit the films that are already contracted with her. Trisha has numbers of offers in hand and she will definitely sign for two more films in this running year. Fourth part of Nadodikkattu malayalam movie?